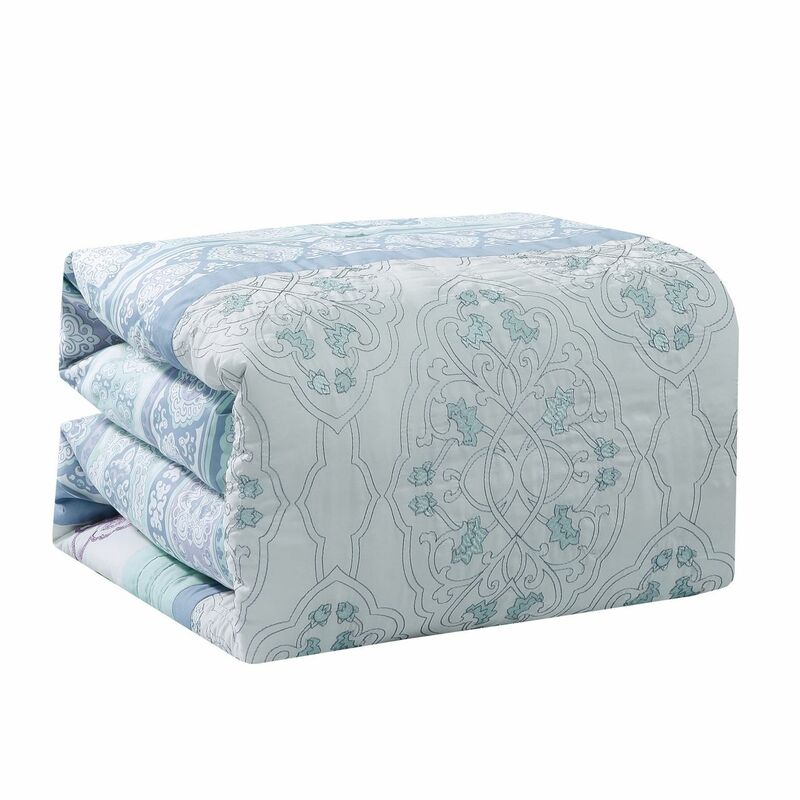 Freshened up your bedroom with this Saxona comforter set. 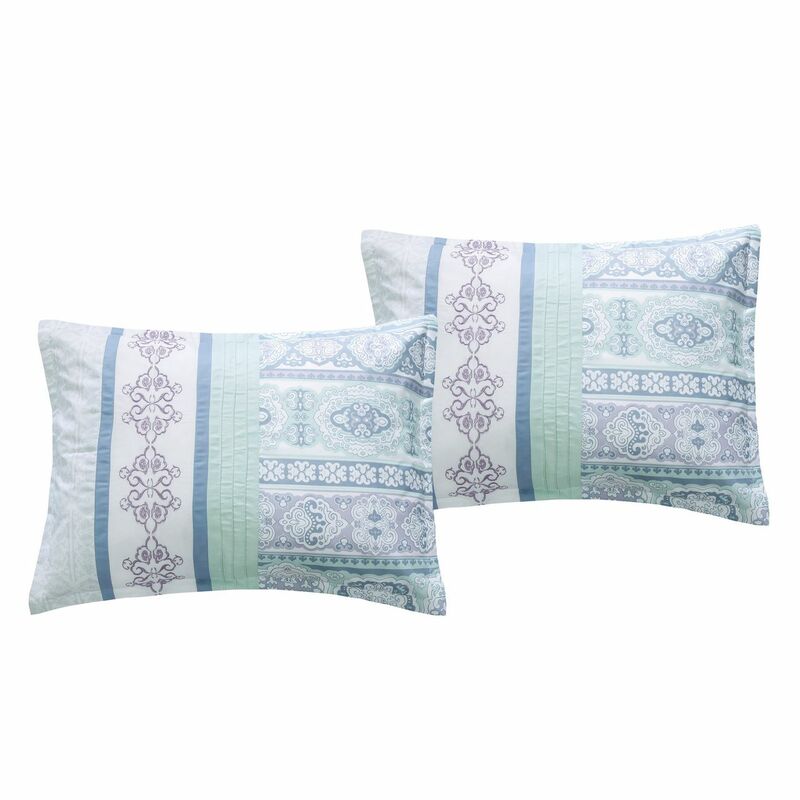 With a combination of intricate patterns in print and embroidery, this lovely comforter set adds a tranquil look to your room's decor. 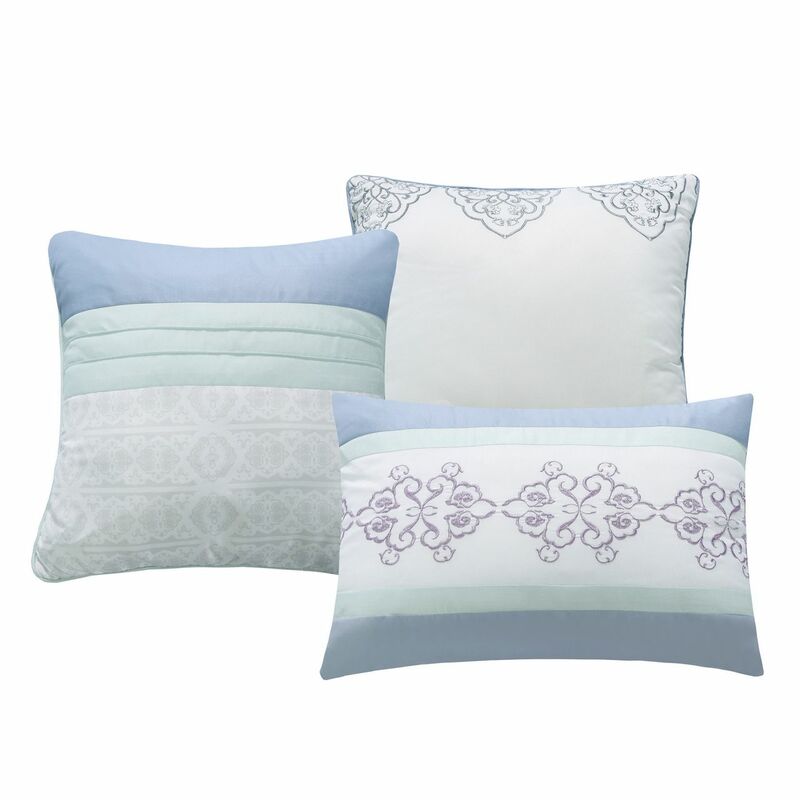 3 decorative pillows compliment this bedding collection.